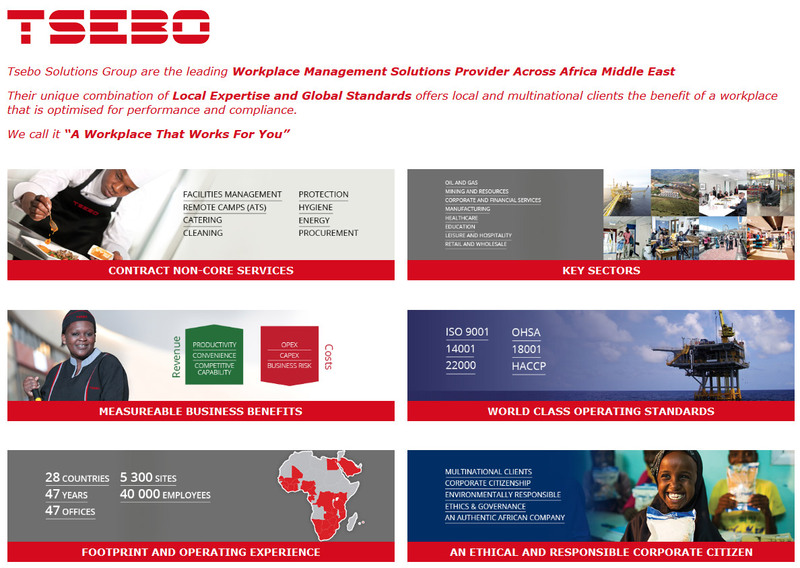 The Tsebo Solutions Group is a Level 1 B-BBEE contributor under the 2015 Amended BEE codes. For Tsebo, transformation has never been a compliance requirement, it is part of our DNA and is weaved into our business model, business processes, cultural values and business strategy. Nowhere is this more evident than in our commitment to Enterprise Development, Socio-economic development and Preferential Procurement. Tsebo has invested an enormous amount of resources and adapted its business model to drive these items. It’s all part of our philosophy of creating a better future for all. We are proud to have honoured our people and our country with the establishment of the Tsebo Foundation. We encourage all our clients, suppliers and stakeholders to engage with us for its success.